For years, the AV industry has been dabbling in cloud-based AV-over-IP (AVoIP) and buying proprietary hardware that simply uses its own internal memory, processing power, and programming to do stuff for us. Those days are coming to an end very soon, though. Every manufacturer is touting how “cloud friendly,” “IT-friendly,” and “AVoIP’d” they are, but most of them aren’t. Everything will become cloud-based as long as you can use memory, processing power, and software to do whatever traditional hardware did in the past. Traditional “guzintas” and “guzowtas” like speakers, mics, encoders, decoders, will always be there, but they will be single channel, as needed, interoperable, and commoditized. Everything in the middle will go the way of mounted cavalry on the battlefield. How can such a claim be made? Well, let’s look at DSP. There are a number of really great products on the market that we all know, love, and depend on. Are those things a box? Are they proprietary? What’s inside those boxes? Memory, processors, and code? Do other manufacturers already make cost-effective, single-channel audio “guzintas” and “guzowtas?” Do these boxes currently only work with their own brand of ancillary products? Yes to all? Okay, DSP boxes are on the cloud absorption list. Not buying it? Let’s look at control systems, or video processing and routing. Ask the same questions from the above paragraphs about devices in these categories, and you’ll get the same answers. There’s a number of technical hurdles that will need to be surmounted in terms of the sanctity and latencies of our precious audio and video signals, though, so this process will happen slowly. But it’s safe to say that the gears are already turning, and several folks know the majority of revenue in our beloved industry is going to be moving away from margins and boxes, and converting itself over to the way software companies make their money. It could be per usage, per quantifiable data unit, per time period, or some sort of perpetual licensing strategy. Interoperability is key: if your solution works with other people’s solution(s), you have a better chance of being part of a future system design. No system design should be locked into one feature set or capability, ever again. Adding inputs, outputs, new audio processing—it should be as easy as a software change. There should be no rewiring needed, no hardware changes required. Fair pricing and proper monetization: If your solution displaces thousands of dollars of hardware and labor, pricing should be such that there is extreme value. The old argument of charging for the equivalent of the displaced hardware and labor costs will be a hard pill to swallow; secure a low OPEX-type cost that focuses on long service terms, just like the cellular companies. Give users that new feature, but hold on to them. Build serviceability into systems and software: for every system one designs, each remaining hardware component needs to be reachable, configurable, monitored, hard-and soft-rebootable, and serviceable remotely. If you can’t fix a problem remotely, and must send someone to a system’s site without the exact replacement part in hard, you have a design problem or you’re using the wrong software applications. That’s a design problem, believe it or not. 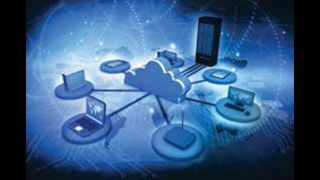 This philosophy also buttresses the ability for integrators to better position themselves for service value amid the absorptiveness of the cloud. Design systems so they can accommodate any type of software as it pertains to collaboration, videoconferencing, or audio conferencing. This space will absolutely erupt in the coming years and there will be many flavors to choose from—all of which will have varying levels of interoperability, quirkiness, end-user favor, and cost. If you have to make a hardware change to accommodate the software changes that will play out in this space, you have a design problem. What will the roles of hardware and software look like 10-plus years out?